You may remember the stunning Grammy award winning artist from her hit songs “Why Don’t We Fall In Love”, and “One Thing” that had the radio waves blazing in the early 2000’s. Well according to her bio, not only is Ameriie a Sci-Fi & Fantasy enthusiast, but she is also the Anthologist behind the upcoming anthology Because You Love to Hate Me, a villain centered collection of short stories that will be published by Bloomsbury Children’s Books in July of 2017. In other news, Ameriie released an EP in May of this year titled “Drive” that is now available on iTunes. 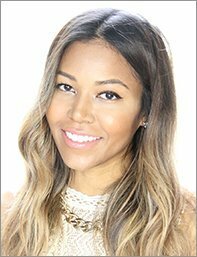 You can keep up with the latest news and updates on Ameriie via her website: www.ameriie.com.